There are a few things certain in life. One of those things is that there will be change. Change happens throughout life, whether we want it or not or whether we like it or not. I have just experienced change in my life and, for now, I am unable to paint as often as I had been. I had to take a few months off completely and now I hope to be able to work again a couple days a week. 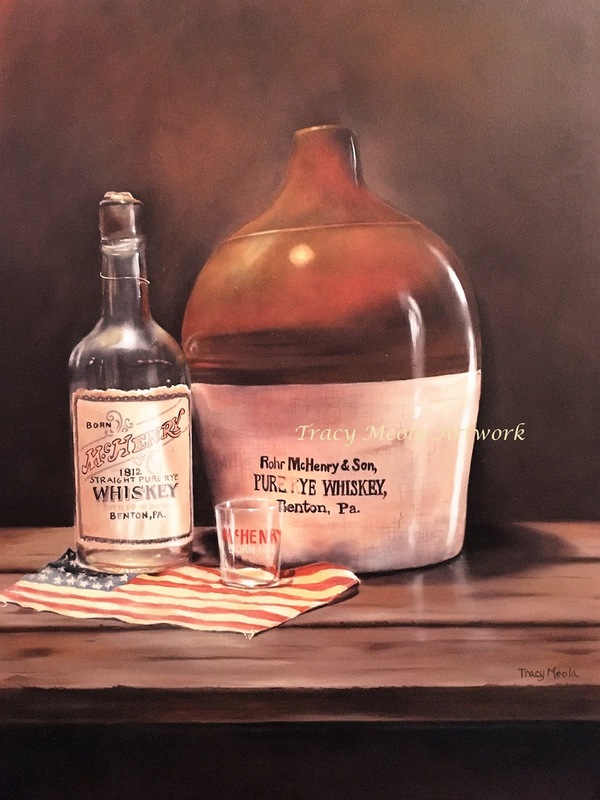 For the first couple of weeks back, I completed this painting that was long overdue for a McHenry Whiskey collector. This painting will be available as a giclee' soon. It will be a limited run of either 35 or 50 prints. I took this photo with my IPhone so it is a little distorted and the colors aren't quite right. The professional photo will be much nicer, but I was anxious to get something posted on the blog. So now that I am back to painting, I am working on another commission right now as well as a few small pieces.